This saw is perfectly named - The Unbelievable Saw®. Cut through limbs up to 3" in diameter in seconds with little effort. We found this to be faster and easier to use than any other saw we own. Made of high strength - heat treated steel. 21" long & weighs only 6 ounces. Roll it up & put it in your pocket - You'll have a saw whenever you need it. Cut Limgs, Roots, Firewood, Clear Fence Lines and More! Perfect for camping. Creates no pollution. Made in the USA! If you have any questions about this product by Supreme Products, contact us by completing and submitting the form below. If you are looking for a specif part number, please include it with your message. 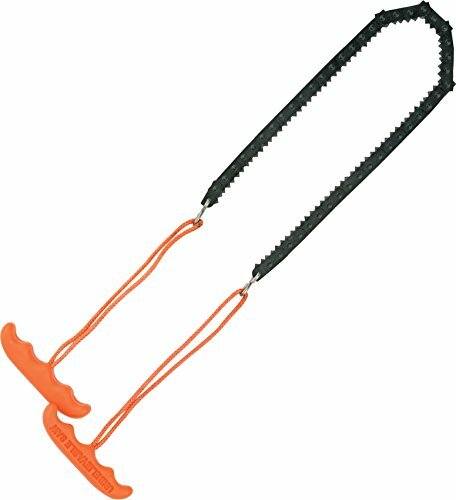 PockeTech - Real Chain Saw Chain 26" Hand Chain Saw, Pouch, and Blade Sharpener - 1 Year 100% Satisfaction Guarantee!